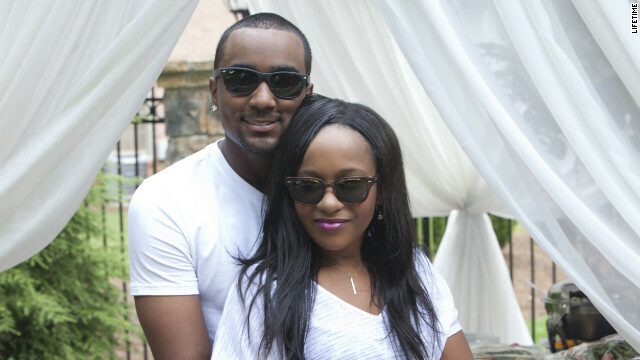 *Despite what’s being shown in a promo clip for Lifetime’s reality show, “The Houstons: On Our Own,” Whitney Houston’s daughter Bobbi Kristina Brown and her boyfriend Nick Gordon are not engaged, according to CNN. Gordon has been described as an “adopted son” of the late singer, and is called a “family friend” on the reality show, which chronicles the Houston family as they try to move forward after the legendary singer’s death earlier this year. Bobbi Kristina, 19, quietly reveals in the minute-long teaser that they’re “engaged” as she looks into Nick’s face. It’s unclear when the scene in question was filmed, as reports circulated in March that Nick Gordon had proposed to Bobbi Kristina, and she’d accepted. “The Houstons: On Our Own” premieres October 24 at 9 p.m. ET. Watch a preview of the season below. Previous ArticleMorning Gossip: David Otunga Tired of Waiting on J-Hud? So are they lying now or on the show. Good grief. Enough with these two. Damn!!!! . . . . . that hair line is finished!! . .she can use that weave as a scarf!!! They are really trying to build hype around this show. BK is disturbed on so many levels…why even entertain her mess.